Since morning, Russian mercenaries shelled Ukrainian emplacements 28 times. The HQ of the counter-terrorism operation reported this on Facebook. In Luhansk region, the enemy attacked Troitske, using mortars of various calibers. Hostile IFVs opened fire in Luhanske. RPG fire was observed in Novozvanivka. 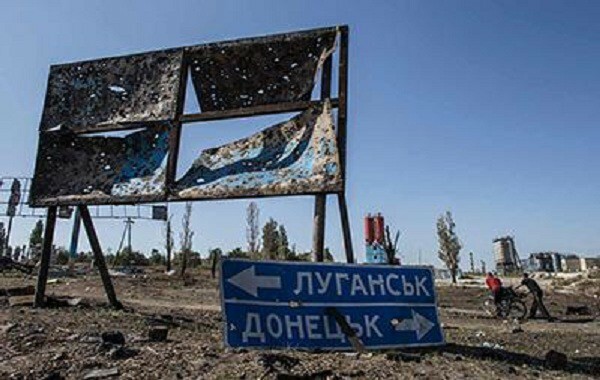 In Donetsk region, the occupant troops fired 82 mm mortars, RPGs and small arms. Militants attacked the Ukrainian positions in Pavlopol, Pisky, Opytne, Mariinka, Lebedynske, Avdiivka and Talakivka. Not a single Ukrainian fighter suffered any injuries over the reported period.